Some can call it greed. You can give and give and give and there are those who will still take more. You have to know when and how to be in control. In other words how to put a lid on it. You know I love my mini aviary and the colorful birds it attracts. But we have other visitors that just won't give up. They have managed to get into the bird feeders in spite of the "guaranteed" guards that are supposed to protect against the furry playful rodents. In addition to the plastic shield, which they were able to navigate, Vaseline on the long "S" hangers and "squirrel proof" bird feeders, the cute but pesky critters could always figure out a way to get to the seeds. So then I thought, let's try two feeders with the same food, thinking one for the furry and one for the feathered. 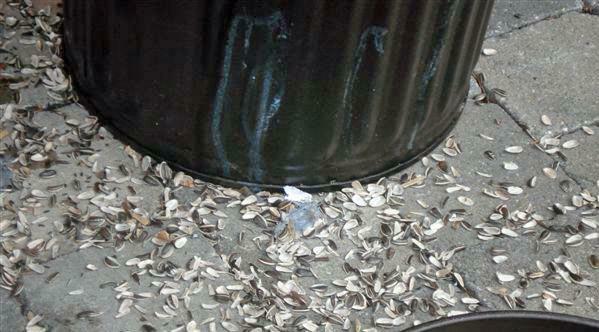 That meant purchasing more sunflower seeds which I placed in the brown container on my porch. That seemed to work - the pretty finches and other colorful birds were back. What a delight! 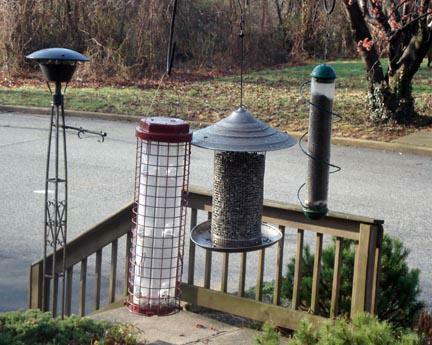 I bought a larger bag of sunflower seeds to supply both of those large feeders. And wouldn't you know it, the bag was too much for the can. I closed the paper/mesh bag and covered it with plastic and then put the can lid on top. There, that should do it. A few hours later, I heard some noise out front. 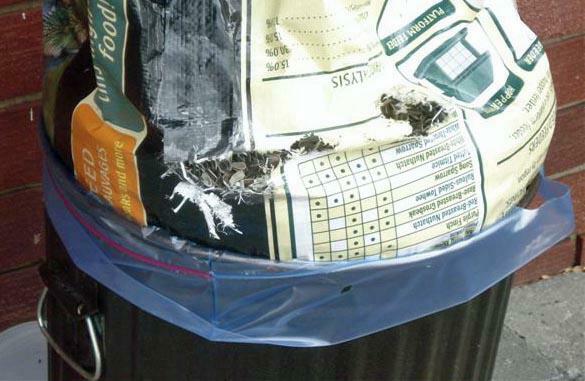 The lid was on the ground, the seeds were all over the stone porch, and the furry critters were inside the bag and chewing through the bag and the plastic. Why you greedy creatures! 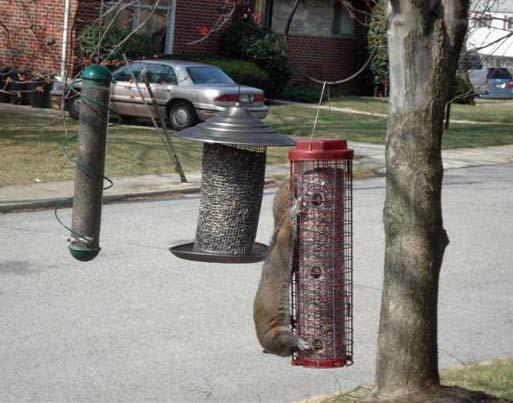 Remember, they already had their own feeder at this time, but that was not enough. 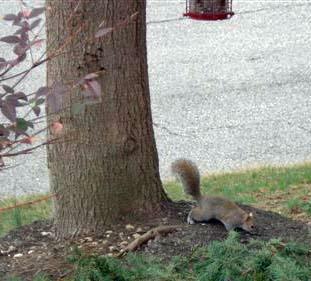 No, they emptied the squirrel feeder and started on the bird feeder. Time to refill so there is enough for everybody. Then I repaired the damage and put the lid on TIGHT. How does this relate to real estate? With some clients, enough is not enough. Not enough advertising, not enough contact, not enough showings, not enough offers, not enough attention. You name it, enough is not enough. How do you decide when to put the lid on? I love working with my sellers, the ones that are referred, the ones that appreciate what I do, the ones who are pleased with my efforts, my phone calls, my emails, my texts, my ads, my blogs, my google juice, my Realtor.com, my updates, my negotiating skills...etc. And then there are those few clients who I choose not to work with from the beginning, because enough will never be enough. That's an important thing to learn – saying "No" to working with people who will never be satisfied no matter what we do. Did a Paper Truck Throw Up? I have been oh, so wonderfully busy this week. 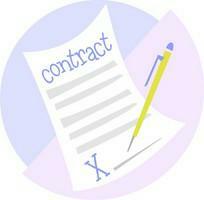 Negotiating and ratifying a contract on the Southfield listing. A successful auction at 7001 Park Heights, , two sellers waiting for me to do the listing agreement, then showings on my latest two listings, Terrapin and Oakland. There have been seminars and meetings - CRS and Gee Dunsten last week, a WCR luncheon, a webinar with Frances Flynn Thorsen, a networking evening with Vito Simone at his Canton office, a planning meeting for an art auction in May, lunch with my publisher, and a funeral. Plus, of course, many phone calls, emails, reading, etc. Yep, a typical Type E schedule. 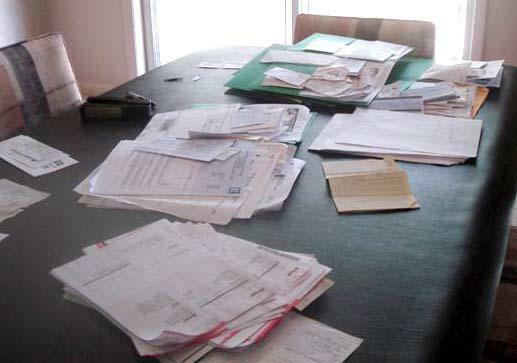 As I was leaving the house this morning for a string of appointments I got a glimpse of my desk – well, actually two desks plus the dining room table separate for doing my income taxes. What did I see? Looks like a paper truck threw up! Oh…yeah…and my deadline is today for getting the stuff to my accountant. Now don't think I am not organized. Received a call from a client who had purchased one of my listings back in 2001, and another who bought 14 years ago. Within minutes, had my hands on those folders with all the pertinent information. One of these clients is looking at my new listing and both are thinking of selling their homes. So it's not a lack of organization that leads to scenes like these. Nope, it's the Type Ein me. 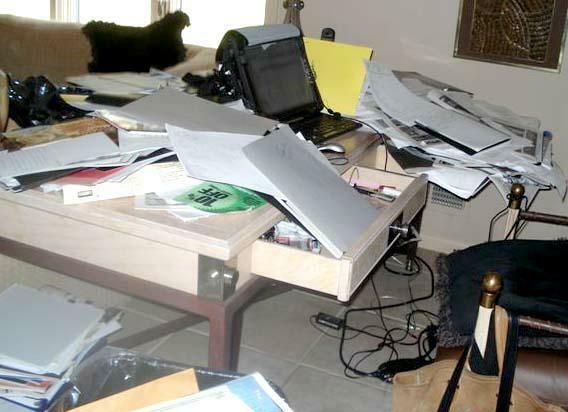 All the information is there..I just file by pile. I can find what is needed. It's the task of sorting it into someone else's order that I avoid. And that is why my desks looks like a paper truck threw up! 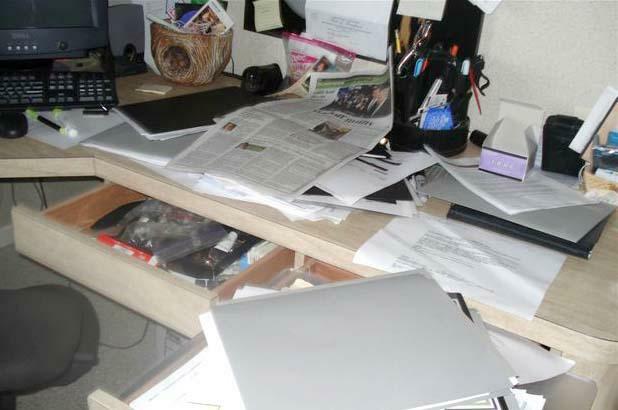 Are you brave enough to photo your desk before you straighten it up? Come on show us...I dare you. 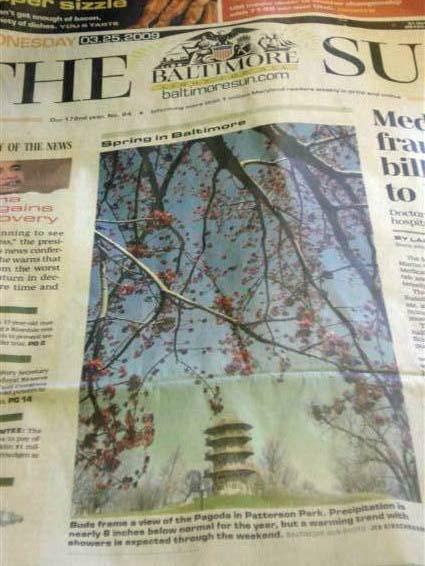 This morning on the front page of the Baltimore Sun there was the headline, "Spring in Baltimore" along with a most gorgeous photo of early pink buds framing the Pagoda in Patterson Park. 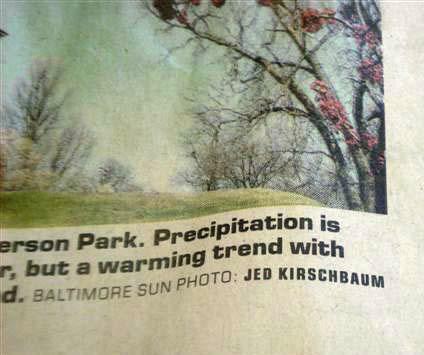 It was such an outstanding photo, I just had to look at the photographer's credit line, and sure enough, it was my friend Jed Kirschbaum. We first met when the Sun did an article on my ceramic art many, many years ago. 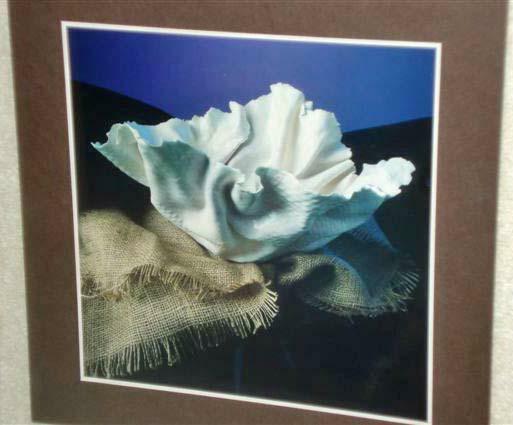 Jed came to my studio that day, and I still have his artistic photos hanging in my office. Our paths crossed again very early in my career with O'Conor, Piper and Flynn at the first annual Regional Realtor Convention and Exposition at the Timonium Fairgrounds where 1,500 agents attended the seminars and trade show. 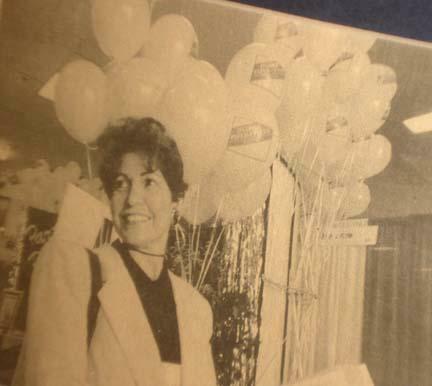 Jed happened to take this black and white photo of me with the balloons in the background, and it turned out to be the only photo of that convention the paper used. I have this old photo in my office, too. Seeing his credit line this morning, it was just natural to pick up the phone, call Jed, and congratulate him on bringing such beauty to today's news. Connections…they are the basis of our business and our lives. I find them through art, photography, friendship, real estate. Where do you find the connections that enrich your life and your business? A while ago I had the delightful experience of sitting down withJosef Katz to talk briefly about real estate investing for beginners in today's real estate market. In a short time we covered how to find an expert to work with, why having someone who really knows the local market is essential, and why signing with a buyer's agent makes good sense for someone serious about finding a great real estate deal that meets their goals. Many thanks to Josef for starting this series, and for inviting me to talk with him. 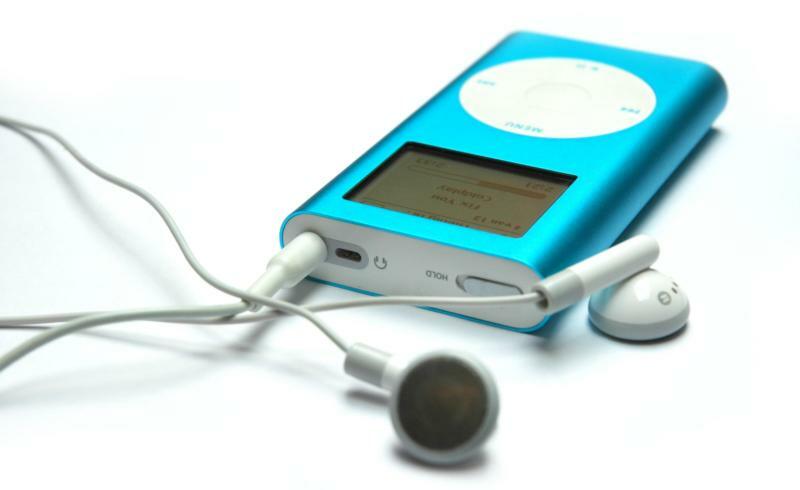 He does a great job of covering a topic in a brief, useful, and interesting podcast. Plus, he made it fun! Last weekend I did something even my best friend would never expect: I went to a cat show. A what? Yes, a cat show. 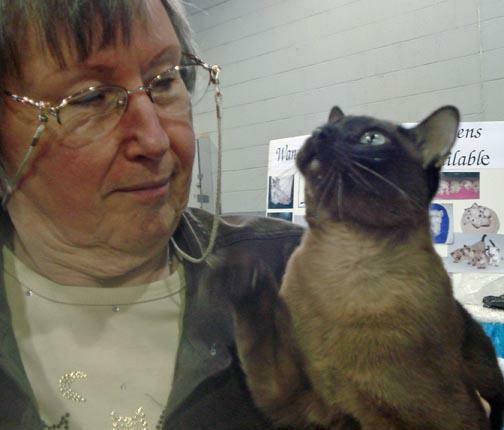 The Cat Fanciers Association had their gathering at the Pikesville Armory, and so off we went. 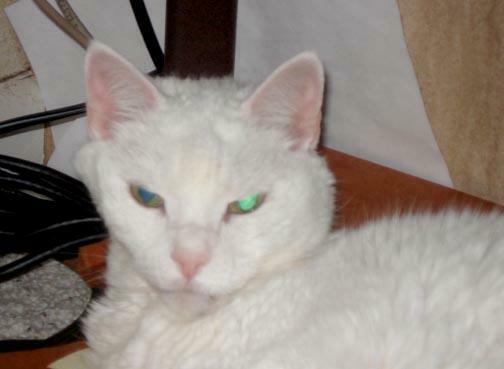 At the show, I soon found my favorite cat – mink brown, but of course, and she was sleek and beautiful. 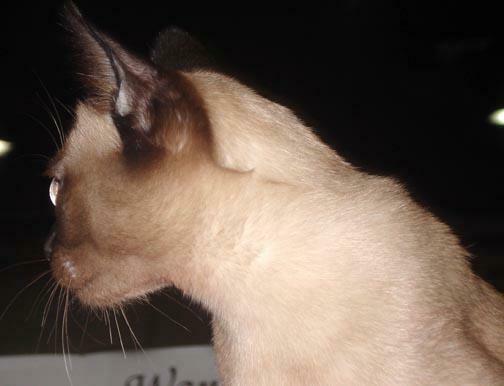 The breed is a Tonkinese, and if I were ever tempted to take home a feline, this would be the one. It was fascinating to watch how much preparation owners went through to show their cats. They had what looked like full beauty salons! Combs and brushes and sprays and powders – you name it and some cat was being groomed with it. Even noticed one cage had its own air conditioner...a portable fan gently blowing on the pampered pet. Some owners looked stressed before the judging...the judging that would determine if the cat won a ribbon or just went home. Some cats were calm through the judging, others did not like it at all – I watched one judge get scratched, hissed at and this one little furry animal became so wild the judge threw this kitty back in the cage. 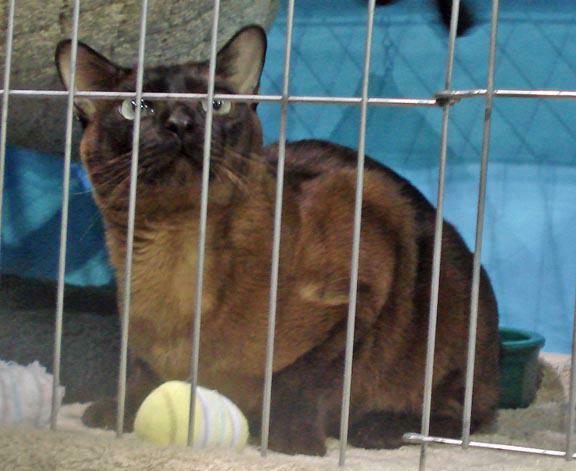 The judge checked for injuries (his not the cat's) and then placed a blue ribbon on the cage. Guess personality was or was not judged....what do you think? Hmm – sound familiar? Kind of like getting ready for a listing appointment, isn't it? Lots of combing through records for comps, brushing up on your presentation, and generally getting yourself ready to meet your prospective judges sellers. How well have you prepared? Do you WOW the seller with your knowledge, your confidence, your marketing? Do you wind up with the First place ribbon-meaning you got the listing. Hopefully you don't scratch, get scratched, hiss or growl but personality is a big part in this real estate arena. Cats are also smart about resting when they can. Even with activity all around, cats curled up and slept when they weren't getting ready for judging or actually in competition. Another lesson we could learn. It was a purrfectly delightful day. 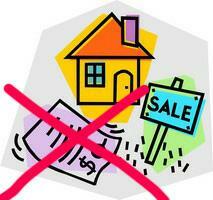 Most listings are lost not because the house is not sold – it is because the seller is not kept updated. Think about any stressed sellers you might have. When did you call them last? When did you update them? Do they know if you are doing anything? Save those listings! Just pick up the phone! I took a listing a few weeks ago for a home that has been on the market for many, many months – almost a year. They were referred by one of my recent sellers. I don't need another listing, but these sellers were not at all pleased with their current agent. It was an estate sale so they were definitely ready and motivated. And, my former seller told them they had to hire me. I tried to talk them into giving their agent more time. When I asked what their main complaint was, they said...lack of communication! They never heard from the agent, the lights were left on, they got no follow up after a showing. I asked how long they were under contract; it had expired months ago but the agent never contacted them, just extended the MLS! A week went by – no contact, no phon e calls. Again they called and told me to proceed. I did my usual process for a listing; took photos, the MLS, blog, advertising, etc. I emailed the sellers my AR blog about the property and told them about the marketing, but also let them know that we had no calls yet. So I called the seller to let them know about the showing time. Afterwards, as I was locking up the house, I called the seller with feedback. It is so simple! A few days later another showing was scheduled, I made the appointment and made arrangements for the agent to view the house. I called the seller to tell them of the showing and then called them with a follow up after speaking to the buyer's agent. We had another showing yesterday, and so another call to the seller. A showing tomorrow and a return showing on Monday night; again, calls to my seller. This is wonderful activity in this market. No, I don't have a contract yet! But I do have very satisfied sellers. And, it only takes a phone call before and after to maintain communication and hang on to a listing. How simple…it is only takes a phone call! Turning Around IS an Option! One day while in a meeting I had a call from an out of state agent who wanted to know if I would be interested in a referral. Her clients needed to move to Baltimore by May and had a "bad" experience with another agent. She quizzed me on my internet savvy and I suggested she email me the clients' info so we could decide how best to proceed. I also suggested she "Google" me, but I am not sure she understood what that meant. It was a couple of days before the potential buyer contacted me, and it turned out they were to be renters, not buyers. The wife called and told me what she wanted, a 3-4 bedroom house on a quiet street, 20-minute commute from BWI airport, and up to $2,000/month for a 6 month lease. Their present home was not sold yet but the husband is already working here and they want to all be together with their two small boys. Oh, and the husband wanted a garage. The wife made it clear that she was not happy with a previous agent because that agent did not return calls, plus other complaints. You may wonder – why was I working with a potential buyer renter at this moment? Because another agent asked for my help. So let's give this couple a name - "Jack and Jill." Jill said that Jack had Monday and Tuesday to find a place. I set Jill up with my automated email search through my website with the Homes Prospector under Search All Listings. I emailed her the instructions and spent time on phone helping her set this search up. 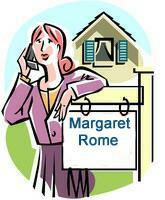 She was really pleased (the other agent did not have this service) she now knew someone was helping her find a home. Late on Sunday night I received an email from Jill, "Sorry it's taken me a couple days to get back to you…. Jack's best days are now Tuesday and Wednesday. Here are the places we are interested in...." along with a list of 14 MLS numbers in three different counties. "Give 'Jack' a call and let him know what works for you." Remember this is 10:21 on Sunday night. OK, so now I knew that I had my Monday free which was good since I had a wonderfully busy day. 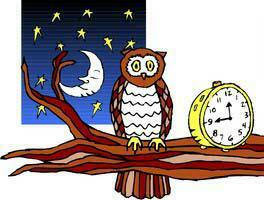 Late that night I make contact with Jack and Jill, she tells me that he is available all day Tuesday anytime. Great! I have someone flexible to work with, or so I thought. I suggested we get together around 11 am that would give me time to call these 14 listings and set up showings. I was able to make seven showings, the CSS person was wonderful, all the properties were vacant and on Sentri lockboxes – a big help. I called Jack and offered to pick him up at his hotel at 11:30. Nope, he'd rather meet me at the property. OK, so there I was in my car and the GPS would not take the first address. So I entered the nearest intersection and found out that I was 20 minutes away. Yep, I was going to be late. 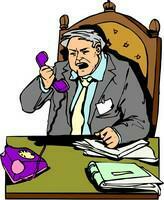 I called Jack to tell him I was running a few minutes late, and he was NOT pleased. " I am going to have lunch and you are just wasting my day." Whoa.... This was not the way to start a relationship. I was doing him and the other agent a favor (yes, she had already asked for the commission on this rental agreement). What does one do in this situation? I promised to find them a house, had seven appointments set up, was already on the highway…hmmm. I apologized for being late, did not remind him that wife said he was available all day, and joked that maybe he got another "bad" agent. No humor, just anger. And that's when I made the decision. I suggested if he were that unhappy with me that I just turn around now. He hung up, and I did just that - I turned around and went home. I did call him back to apologize again for being late, confirm that I would not be meeting him, and to let him know I would not accept him hanging up on me. A fifteen minute leeway was not out of the question when we going to see 7 properties. I did the right thing. I asked myself WIN – What's Important Now? And my answer was that turning around and coming home felt right. I called "Jill" (no answer) and called and emailed the agent wishing them luck in finding a home in Baltimore. 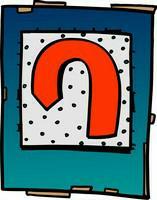 Did you know that turning around is also an option for you?